One of the best ways you can work your core and relieve back pain is by using inversion boots. The most common cause of back and neck pain is compressed discs due to gravity. You can reverse the effects of gravity by inversion therapy. Are you looking for the best gravity boots? Inversion therapy has been used by thousands of people across the world to relieve back pain. You too can be part of this statistic. 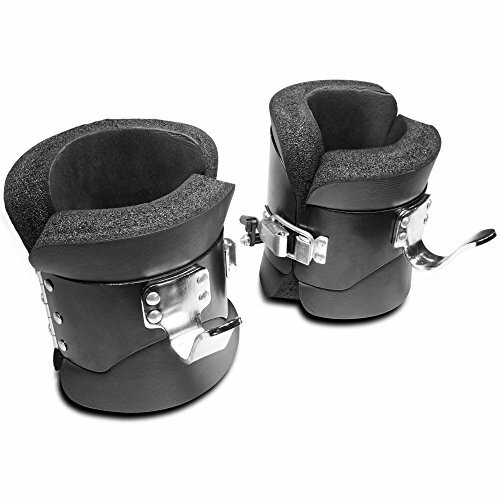 Gravity inversion boots are designed to help you during inversion therapy process so that you remain safe and secure. These boots, such as the Teeter E1-1056 EZ Up Gravity boots, are cost-effective and easy to use. Gravity boots are some of the most versatile fitness equipment you can own. This equipment enables you to hang upside down from a pull-up bar. One of the reasons inversion boots are so popular is because they help relieve back pain by stretching the spine. If you haven’t hanged upside down since you were a kid, don’t worry. Inversion boots are one of the safest ways you can hang upside down. There are various models of gravity boots available on the market. In this review, we take an in-depth look at the best gravity boots. We look at the features and benefits of each model. 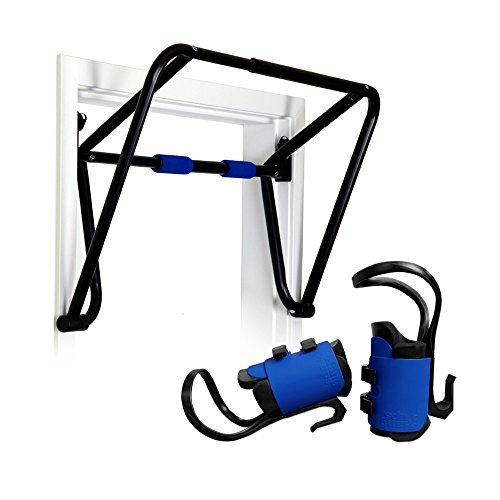 If you are looking for a compact workout station, then consider the EZ-Up inversion and chin up system. This workout system is designed to work on any door frame. It features a double-bar system and a pair of standard-size gravity boots. During inversion, you are not in control of your body weight; therefore you need sturdy equipment to hold your weight. This dual-bar system is made of sturdy steel. It can fit on any door frame that measures from 28 inches up to 36 inches. The bar features locking brackets that allows you to install or remove the system quickly. These quick-disconnect locking brackets also allow it to fit the pull-up bar securely on the door frame. 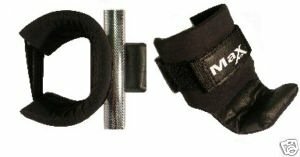 The hand grips are foam padded to ensure your hands do not get blistered during your workout. By using this dual-bar design, you will be able to hang freely and away from the frame. This Teeter chin up rack system can turn your door frame into a center of inversion. The EZ Up Gravity boots are some of the most sought-after inversion equipment on the market. The boots are made of lightweight DuPont Hytrel material. The inside is made of super-soft foam liners that are designed to offer maximum comfort. Another great feature is the dual self-locking buckles. These buckles are an added security measure. These teeter hang ups gravity boots also feature calf loops behind each leg. The loops allow a 2-degree bend that helps reduce the load on top of your feet and knee joints. Amazing, right? √ Teeter inversion rack is scratch resistant. √ Fits perfectly on any standard door frame. √ Calf loops and hooks are made of glass-nylon alloy. √ Comes with a Healthy Back DVD. This product has an average rating of 4 out of 5. Users trust this unit because it comes from Teeter. Teeter, a US-based company, is widely known for their quality inversion equipment, and the EZ Up inversion system is no exception. With this system, you can re-hydrate your discs, reduce nerve pressure, relax muscles, and work out your abs. If you already have a bar system, you can get a pair without the bar. The GIB2 gravity boots are some of the best gravity boots on the market. These boots are similar to the other boots mentioned above. They feature contoured support pads that ensure your feet remain comfortable. And, it gets better; they come with an extra pair of padding for extra comfort. You can also use these pads to adjust the size of the boots. 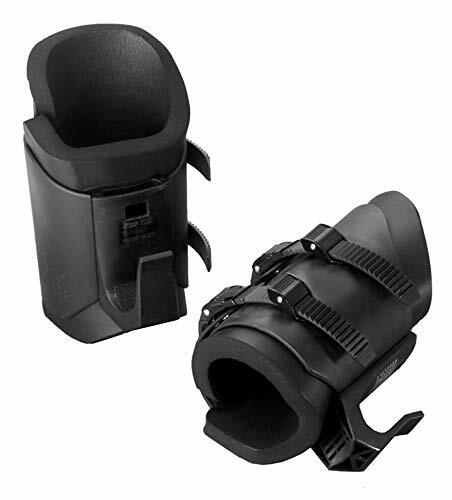 For security, these Body solid inversion boots come with a single-action lock mechanism that allows you to attach the boots to any chin-up bar. Users have commented that using this pair of boots; they can relax tight muscles, realign the spine, fight muscle fatigue and reduce spasms and back pain. They are made of excellent solid construction, so they will last for years to come. These boots come in black which means they won’t get dirty easily. The GIB2s are top-rated because of their solid construction and safety features. Users have commented that after using this product for some time, they have noticed a remarkable improvement on their backs. Huh! Another version of gravity boots from Teeter? Well, yes. What is the difference between these and the blue standard Teeter boots? Here is the deal; these Teeter XL gravity boots are stronger than the normal Teeter gravity boots. These boots are ideal for use by people whose calf measure 16 inches and above and heavier guys. Teeter EZ-Up XL boots are safe to use and can work with Teeter F7000 and F5000 inversion tables, Teeter inversion bar, and Teeter EZ-Up inversion rack. The shell is taller than the shell on standard boots to offer more support to your calves during inversion. These extra-large boots also feature bootstraps that allow the boot to fit thick and thin ankles alike. The inner lining is made of DuPont Hytrel material that is super soft yet tough. This material makes the boots extra comfortable and reduces compression. Another great feature is the ratcheting self-locking buckles. 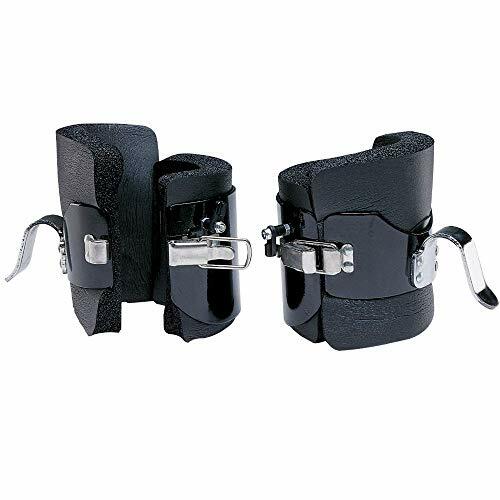 These buckles ensure the boots fit securely on your feet. The removable calf loops are designed to reduce the load on your feet. Teeter EZ-Up XL gravity boots are FDA registered. Each lightweight boot weighs just 2.5 lbs. You will hardly notice you have them on. With these boots, you don’t have to worry about falling on the floor during your routine. These Teeter Cobra XL gravity boots are easy to use, comfortable and are worth the money. √ Made from durable plastic and has a stainless steel hook. √ Ideal for inverted exercises such as squats, sit-ups, and crunches. Why should you trust products from Teeter? Well, this company was started by Roger Teeter who suffered from back pain and wanted an affordable, simple, and natural way to relieve back pain at home. That is how he came up with FDA approved gravity boots. These extra-large gravity boots will help decompress your back and enable you to perform inverted exercises safely. These inversion boots from Titan Fitness have been known to help relieve back pain, separate compressed spinal discs, and workout abs. The boots are made from quality foam material. The padding measures 1 ¼ inch thick, the inside diameter measures 3 7/8 inches, and the outside diameter is 6 ½ inches. Its hook can work with the standard 1-inch or 1 ½ inch chin-up bar. If you have thinner legs, the manufacturer recommends you use extra padding or wear boots during inversion. For security, make sure the hook is properly fastened to the bar. Then ensure the boots are tight around your ankles; tighten using the steel buckle. Stay upside down for between 30 seconds to 2 minutes. Titan Fitness inversion boots can hold up to 300 lbs/136 kg. Each black boot weighs 3 lbs. Users love these boots because they are comfortable, easy to use and durable. It is also worth noting that they are some of the most affordable pairs you will find on the market. With these bad boys, you will say goodbye to back pain and say hello to gorgeous abs! × Foam wears a bit overtime. Though this product has some pain points, it is still one of the best inversion boots you can pick. They are made of durable material, and they are easy on/off. Another great option that should be on your shortlist is the Goliath Lab gravity inversion boots. Why do people prefer these boots? Well, one of the reasons is because they are affordable. You get to exercise your abs, relax and strengthen your back without breaking your bank. Sounds fantastic, right? These gravity boots are a one-size-fits-all type of boots. Its sides are foam padded to offer contoured fit and also prevent your ankles from hurting during inversion. But, it is important to note that if your legs are thinner, you should use extra padding or wear boots for a secure fit. Another great feature is the steel hooks. These hooks can be used on 1 to 1 ½ inch chin-up bars. So, how do you use the Goliath Labs inversion gravity boots? Once you have fastened the boots securely on your feet, climb up and fix the hooks on the bar. You should hang upside down for up to two minutes. Goliath Labs gravity boots come in black and have a weight capacity of up to 150 kgs. This means that they can comfortably hold your weight. × Does not come with a pull-up bar. The average rating of this product is 4.5 out of 5. Users have commented that they love the Goliath Labs Gravity boots because they are affordable and sturdier compared to other gravity boots on the market. With this boots, you won’t have to worry about compression fatigue and back pain. The Hanging Pull Up boots are some of the best inversion boots on the market. Just like the other boots on our list, they are designed to alleviate muscles spasms and back pain, strengthen the muscles, and help you work out your abs. The manufacturer has included a steel buckle for added safety. The hook is made of steel. Also included are safety locking clips to help you stay safe during inversion. The sides are foam padded to ensure your ankles and feet are comfortable. The Hanging Pull UP inversion boots can comfortably hold up to 225 lbs/ 103 kg. Another great pair of inversion boots is the TargetEvo hang up boots. This equipment helps you to reduce spasms, back pain, and muscle fatigue, space out compressed discs, and stretch out your shoulder, back and neck muscles. The hook is made of stainless steel, so you are assured of its durability. The hook fits perfectly on 1.2″/30mm diameter steel tube. These boots come with a double lock system for security. The inner padding of the TargetEvo hang up boots is made of NBR foam. This high-density material is soft and comfortable. Your legs and ankles won’t get hurt. The thickness of the NBR foam is 1.2 inches. Not ideal for people suffering from hypertension or heart-relate diseases. There are various models of gravity boots available on the market. In this review, we look at the top 7 best gravity boots. We look at their features, their pros, and cons, and help you pick the best pair to help you tone your abs and restore your spine health. Finding the right pair of boots is a daunting task. There is a wide variety of inversion boots on the market; some come with accessories, others don’t, some have foam padding, others don’t. This makes the selection process a bit difficult. Padding is the most important aspect of any gravity boot. The more padding a boot has, the more comfortable you will be during inversion. Unless you want bruised ankles by the end of your exercise, please avoid boots with minimal padding. It is recommended you get inversion boot that has at least 1-inch foam padding. This way, you will be sure your feet won’t get bruised during inversion. Remember, if you have thin legs; get a pair that comes with extra padding. This certification by the Food and Drug Administration is given to manufacturers whose products are approved by this body. Testing is done by the FDA, and if the product meets their set guidelines, then the product gets the approval certificate. From our review above, only the Teeter EZ-UP Gravity Boots XL and Teeter E1-1056 Hang Ups EZ Up Inversion and Chin Up system have been approved by the FDA. I love to buy products that will last for long. No one wants going back to their pocket and buy a similar product after a month or two. When making your purchase, ensure the boots are made of quality material. Make sure you pick a pair whose inner is made of foam padding and the outer is made of flexible material. Now safety should be at the top of your list. How safe do you want to be during inversion? Very secure. Most manufacturers put safety first. They make sure the hooks are made from durable steel and not flimsy plastic. Also, they include double installed locks for added protection. Make sure you also get equipment with these features. Can the inversion boots hold my weight? This is also one of the key features you should look at when picking a pair of boots. If you are 250 lbs/130 kg and use boots that can only handle 220 lbs, be assured the inversion boots will get ripped. What a waste! Right? Just pick inversion boots that can safely handle your weight. Is a pull-up bar necessary? Yes and no. You can always do your exercises on the door frame, but it would be better if you have a pull-up bar. See, our minds are trained to associate an item with a particular activity. For example, what comes to your mind when you see a dumbbell? Toned muscles, right? Well, using a pull-up bar not helps you hook your inversion boots better, but you can also use it to improve your grip and strengthen your back and abdomen. Gravity boots and bar are a great combination. How do gravity boots work? Do gravity boots work? Yes, they do. This fitness gear is designed to help hold your feet firmly when you turn upside down. Inverted exercises such as crunches enable you to work out your hamstrings, quads, and calves. When you start exercising using these boots, make sure to do it for only a few minutes. Ensure your movements are slow so that your body gets adjusted to the positions. After a while, increase the minutes you spend on your exercises. If you do not have a pull-up bar, consider getting inversion boots that come with a conversion bar. Here is a short video on how to use inversion boots. Which is better? Which is relieves pain faster? Gravity boots vs table is an argument that has been there for a long time. Each camp believes their favorite product is better than the other. But honestly, these products work the same. The only difference is the price tag. Inversion tables are costlier than inversion boots. 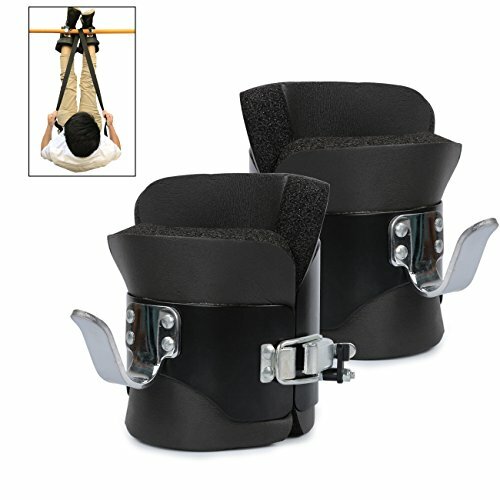 Gravity boots for inversion table. If you want to start inversion exercise, you could opt for an inversion table, an inversion chair or gravity boots. Just pick what you prefer. If you are suffering from back pain you only have two options; lie down and wake up to more pain or practice inversion therapy and relieve that pain. Plus, you get to do some abs exercises and get that gorgeous six pack. Thousands of people have discovered this affordable method to decompress their backs. You too should be part of this statistic. The review above covers gravity boots for back pain. We believe that any of the 7 best gravity boots will meet your needs. Pick a pair today and stretch your spine.